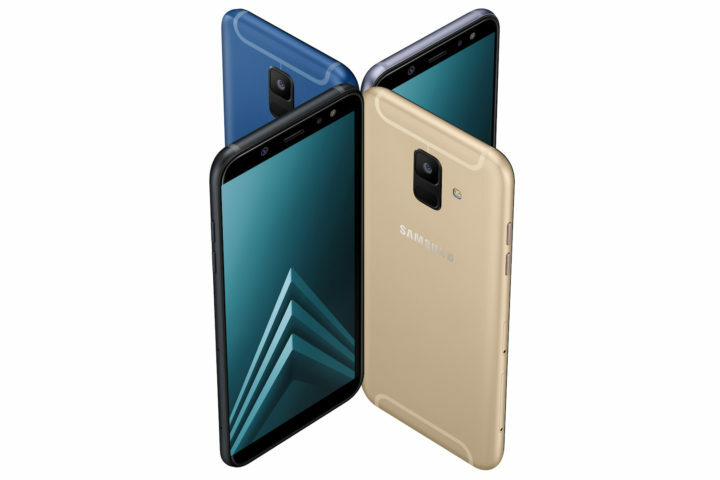 There has been no shortage of leaks concerning the Galaxy A6 and Galaxy A6+ in recent weeks. The handsets were fully revealed on Samsung Indonesia’s website earlier this week even though the company had yet to officially announce them. It has done just that today. Samsung today announced the launch of the Galaxy A6 and the Galaxy A6+. Its new mid-range smartphones tout a sleek design and powerful cameras. 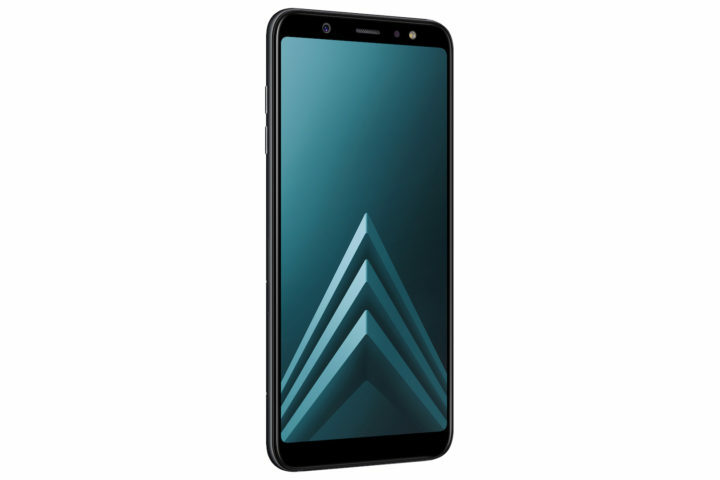 Much like the premium Galaxy A8 and Galaxy A8+ (2018) handsets in this series, the 5.6-inch Galaxy A6 and 6-inch Galaxy A6+ also feature a flat Infinity Display with 18.5:9 aspect ratio and a pixel resolution of 720×1480 and 1080×2220 respectively. The sleek metal unibody design is complemented by smooth curves that offer a comfortable grip and improved durability. The Infinity Display pushes the handsets into bezel-less territory while relocating the fingerprint sensor to the back just below the camera sensor. Powered by 1.6GHz and 1.8GHz quadcore chips respectively, the Galaxy A6 and Galaxy A6+ will be available with up to 4GB of RAM and 64GB of storage depending on the market. There’s support for external expansion via microSD cards up to 256GB. The Galaxy A6 has a 16-megapixel rear camera with f/1.7 aperture and a 16-megapixel front camera with f/1.9 aperture. The Galaxy A6+ kicks things up a notch with a dual camera system. it has a 16-megapixel f/1.7 + 5-megapixel f/1.9 camera at the back and a 24-megapixel f/1.9 shooter upfront. Both feature an adjustable front LED flash. The latter’s dual camera brings the Live Focus mode which lets users control the depth of field or bokeh effect before or after the shot has been taken. The new handsets also get some features from Samsung’s premium handsets such as Face Recognition, Samsung Pay and Dolby Atmos optimized audio. They also have support for Bixby Vision, Bixby Home and Reminder. 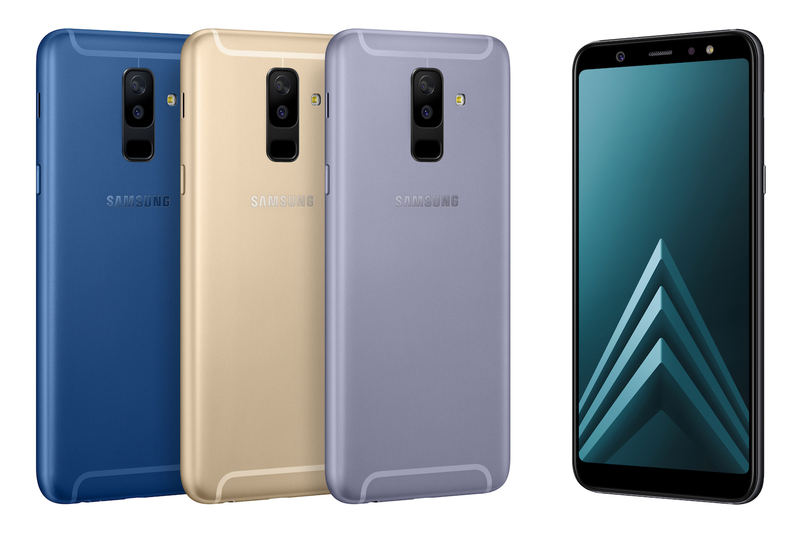 Powered by 3,000mAh and 3,500mAh batteries respectively, the Galaxy A6 and Galaxy A6+ will be available in Black, Gold, Blue and Lavender colors. They come with Android 8.0 Oreo out of the box. Samsung is going to release the handsets early this month ins elect markets in Europe, Asia and Latin America. The Galaxy A6 and Galaxy A6+ will see a wider rollout in markets throughout South Korea, Africa and China down the road. Samsung’s regional arms will confirm pricing for the handsets soon. They should just make the A6 as part of the J series. Another A phone just confuses things and makes Samsung’s portfolio ever more convoluted. The J series Realy needs better specs to at least have a fighting chance in China and India. Powerful cameras !!!??? Are you crazy ? There’s no ois , no 4k video , only 30 fps , ……. just like cameras on my a5 2017 its crazy most shots looks blurry without a zoom …. samsung made good and powerful cameras only for the flagships the note & s series . Another 2 unnecessary and pointlesss phones. A lot of marketing buzzwords that won’t be able to mask the fact that these are mediocre, overpriced mid-range phones. Seriously what is Samsung’s strategy here… I struggle to understand these phones.